If you have any questions or require any assistance or advice, please do not hesitate to contact me by email at angela@bestchildrensnativity.com and I will be happy to help. 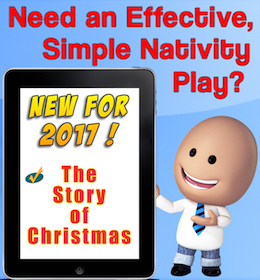 As a fellow nativity organiser, the success of your nativity play is very important to me and I make it my goal to achieve 100% satisfaction. As always, I will do my best to reply to you within 48 hours.